The Ornamental Industry produces plants in a variety of different ways, ranging from large scale, soil-based operations, to intensive container-nursery production systems, to highly intensive greenhouse production environments. Green roofs represent a different, but complementary testing environment for sensor networks, since they are engineered systems that use substrates and plants for stormwater retention and energy reduction. 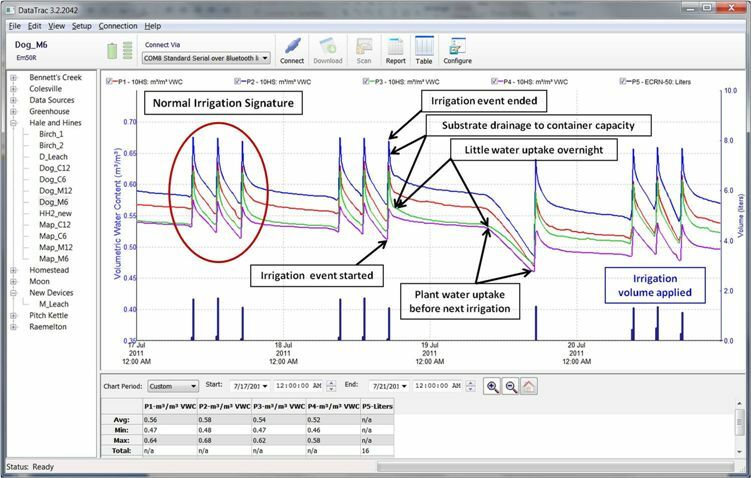 In order to optimize system functioning and the monitoring of water use, we have to understand spatial and temporal (daily and seasonal) dynamics in all of these environments. This knowledge will allow us to place sensors in the most appropriate place, sense at appropriate time intervals, so we can reduce the number of sensors and nodes required, and hence the cost of the system.